Would you like a classic drink or a trendy mocktail? Bar Lasipalatsi serves its customers on the second floor of Lasipalatsi, adjacent to Restaurant Lasipalatsi. We are a delightful drink bar in the centre of Helsinki. 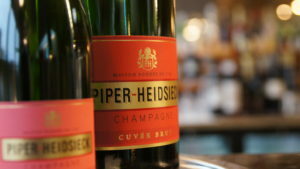 In addition to our classic drinks, our bar serves cocktails that will awaken your taste buds as well as glasses of quality wine, not to mention our non-alcoholic drinks. We also offer small bites. You can stop in after a meal for a digestive or to continue your evening. 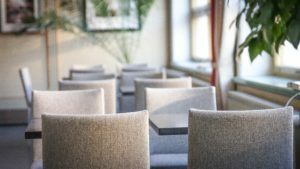 Experience a new, centrally located drink bar in Helsinki, where you can savour classic drinks poured by professionals and served with a smile or order a fancy trendy drink to enjoy. 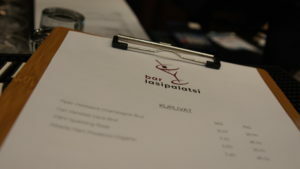 At the Lasipalatsi Bar you will be at the heart of the restaurant. Stop in while passing by, make a date of it with your friends – we invite you to come and enjoy yourself as a group, as a couple or alone. You are always welcome!